What is GD&T? The answer is simple, Geometric Dimensioning and Tolerancing (GD&T) is a set of standardized symbols and conventions that are used to describe parts in a way that makes it easier for customers, manufacturers, and other supply chain participants to successfully communicate. Parts that are manufactured in a shop must meet specific specifications. These specifications are shown on engineering drawings, which are normally produced by CAD software. GD&T is a particular set of conventions used on engineering drawings (often called “prints” from the older “blueprints”) that communicate how parts should fit together and how they function. This course will teach you the basics of how to understand GD&T symbols and their use. GD&T is a standardized international system based on symbols that can be clearly understood by anyone that is familiar with the standard. It is a mathematical language, though it does not require you to be a math expert in order to understand and use the system. GD&T is a significant improvement over traditional older systems for describing dimensions that relate to the fit, form, and function of parts. It is very precise as well as concise relative to these older systems. Each work piece is described in terms of “zones of tolerance” that are relative to the Cartesian coordinate system. As you recall, Cartesian coordinates are just X, Y, and Z measurements from an origin. If you’re a CNC’er, you’re already quite familiar with them. If GD&T seems complex, it is only because there is a long list of ways a physical part can deviate from the geometric ideal of what the designer had in mind. A shaft could be slightly bent, slightly tapered, slightly tilted, and slightly offset from where it was intended. When you consider all the different kinds of geometry found in machined parts, it’s no wonder that cataloging all the defects in that geometry gets a bit complicated. GD&T actually brings some order to that complexity and makes it systematic. Once upon a time there was a fellow named Stan Parker who was working for England on Torpedoes. As is often the case in wartime, they were not making them fast enough. Stan’s job was to find ways to produce them faster. He got looking at parts that had failed the specified tolerances, but actually still fit. These were parts they’d discarded, but could have used. What better way to increase production than to quit wasting these parts. As he delved into the problem, he discovered the reason the parts could fail but still fit was the shape of the tolerance zone. Imagine projecting onto the blueprint an outline that shows all the allowable positions for the center of a hole, for example. That shape is literally the tolerance zone. With traditional +/- tolerancing, that shape of where the hole center can be is rectangular. After all, it’s +/- each dimension in X and Y.
Stan’s brilliant intuition, and the thing that launched a new way of thinking about tolerances, was to use a circular tolerance zone for hole centers instead of a rectangle. Imagine–the difference between a circle and a rectangle made all the difference. To me, it even sounds like it must be a better idea to put a round peg into a round hole instead of a square one, LOL! The rest, as they say, is history. More torpedos were made, and we now have a much improved way of thinking about tolerances. Stan’s innovation, by the way, came to be known by the name true position. True Position and a bunch of other clever concepts together are what make up GD&T. GD&T is an international system because the American Society of Mechanical Engineering and the International Organization for Standardization worked together to create it. The actual written standards they produced are ASME Y14.5M and ISO 1101. While the standards are relatively recent, the ideas behind GD&T go back to the 1940’s and 1950’s. We should note that while some think of GD&T as defining a standard for inspection of parts, that was not its intent. Rather, it was designed to communicate what the designer intended about the dimensions and tolerances of the part. Such information can be very helpful to the inspector in determine what exactly needs to be inspected to ensure the part meets the designer’s original intent. – Dimensioning describes the nominal or as-intended geometry. – Tolerancing defines the allowable variation of the form and size of individual features, and the allowable variation in orientation and location between features. An important goal of GD&T is to ensure that a part defined using GD&T and manufactured within the proscribed limits will fit and function with the largest possible tolerances. Proper use of GD&T can add quality and reduce cost at the same time since having tolerances that are too tight can drive up costs rapidly. When and Why Use GD&T? Let’s start in a very basic way–GD&T is designed to facilitate communication between entities that need to work together to manufacture something. If you don’t have to communicate with anyone, you may not need to know GD&T. CNC Hobbyists may have little use for it, for example. But, if you are a CNC Professional, it will be extremely rare that you work on something where you don’t need to communicate. Perhaps you need to make a part someone else designed. Or perhaps your part needs to fit with a part made by someone else entirely. In those cases, GD&T might save you considerable trouble. In modern CNC Shops, it becomes almost a pre-requisite that you know something about it. – When part features are critical to function or interchangeability. For example, if you’re making a part that has to fit with a part made by someone else, you’d better call out all the features that will govern whether it fits properly. 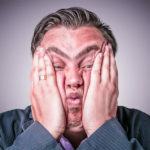 – When functional gaging teachniques are desirable. Think of functional gages as measuring devices intended to verify a particular feature is within tolerance. For example, a “Go-NoGo” gage. – When datum references are desirable to ensure consistency between manufacturing and gaging operations. A datum is used to show where a measurement is taken from. For example, CNC’ers are familiar with Part Zero being an important datum that measures where the motion of the CNC machine starts from for a particular part. – When computers are being used in design and manufacture. – When standard interpretations and tolerances are not already implied. There is no need to over-specify tolerances that are implied in some other way. For example, we might specify a thread without needing to provide a bunch of GD&T to lay out the dimensions and tolerances of every feature of the thread. Just saying which thread it is tells us most everything we need to know about its dimensions and tolerances. – It is very succinct and precise. With old-style dimensions and tolerances extensive non-standard notes had to be included to make sure everything was fully specified. – It is a graphical international language. – It expresses tolerances in ways that are often beneficial to manufacturing cost. 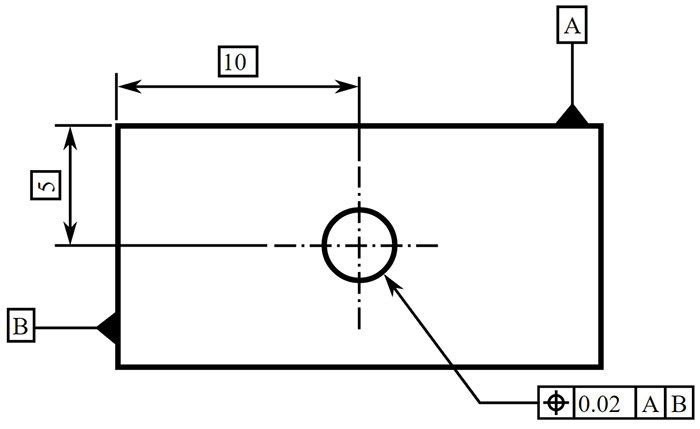 For example, without GD&T, the tolerance on a hole center is often X and Y plus or minus some amount. That is a so-called “Square Tolerance.” WIth GD&T, the tolerance is expressed as a round area. This is a much more forgiving tolerance than a Square Tolerance if you think of drawing a circular whose edges just meet the corners of the square. That circle is quite a bit larger than the square. Most GD&T devotees don’t recognize many disadvantages other than that there is a learning curve you will have to get through to learn GD&T. It isn’t hard, and fortunately you have already started on a free course. If we think about engineering drawings, a basic drawing provides size and shape descriptions. If we add some tolerances, they affect the description of size. Adding GD&T affects the description of shape in a very quantitative way, and it also provides a more comprehensive way to think about tolerances. In fact, the specification of shape includes tolerance as well. For example, if we use GD&T to suggest a surface must be flat, that describes its shape. But we will also include a tolerance that describes exactly how flat the surface needs to be–tolerances for flatness, in other words. Let’s take a more detailed look at each of GD&T’s basic concepts. Like most GD&T graphical symbols, Concentricity looks like what it is–two circles are shown concentrically. This makes it easier to remember the symbols. This course includes a detailed Quick Reference Chart for the GD&T symbols, and we’ll put a link to that chart at the bottom of every page for your convenience. You may find it convenient to keep the chart open on a separate browser window for reference when working with GD&T. When you see a number in a box, that’s a Basic Dimension. Given that there is just a number in a box, Basic Dimensions have no tolerances. The Leader Arrow points to the hole feature. It has a Geometric Symbol, in this case, a Position Symbol. Given that this is a round hole, the tolerance could be a diameter, in which case we’d have a diameter symbol ahead of the tolerance. Instead, we just have a tolerance value, so this is a positional tolerance for the center of the hole. 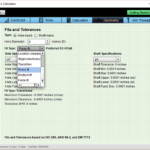 We could follow the tolerance with a Tolerance Modifier. The “A” and “B” are the primary and secondary datum. If we look to the original drawing (top of page) we can see that these tell us where to measure the hole’s center from. In this case, “A” denotes the top edge of the part and “B” denotes the left edge. This is a lot to take in, and we’re not trying to completely describe every aspect of Feature Control Frames here. Rather, we are introducing a concept we will elaborate on more fully later in the tutorial. As mentioned above, Datums tell us where to measure from. Calling them out clearly and labelling each Feature Control Block with the applicable Datums makes it completely clear how things are to be measured. While a datum may make sense on a drawing, it is important to keep in mind that parts are physical. You could specify a datum in such a way that it is impossible to take the measurement on a real physical part, so always visualize how a datum could be used to inspect the part. Features, meanwhile, are the real geometric shapes that make up the physical part. Examples include holes, screw threads, profiles, and faces or slots. 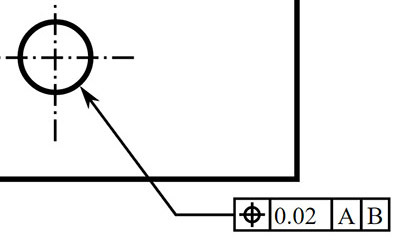 – Maximum Material Condition (MMC): MMC might be used, for example, to refer to the largest pin or the smallest hole. – Least Material Condition (LMC): LMC could refer to the smallest pin or the largest hole. – Regardless of Feature Size (RFS): RFS could refer to any increment of feature size of any feature within its size tolerance. All dimensions must have a tolerance. Since all real physical objects are subject to variation, we must specify the limits of allowable variation. We can do this either by applying plus and minus tolerances directly to dimensions or by using a tolerance block or note. For Basic Dimensions, GD&T applies tolerances using a related Feature Control Block. Dimensions define the nominal geometry and allowable variation. It is not allowed to derive that information through measurement or scaling of the drawing except in certain cases. This is important as casual CAD users are quite used to just adding dimensions to a model or measuring the model directly, which is not allowed under GD&T. Every dimension and tolerance required to define the finished part shall be shown on the drawing. If additional dimensions would be helpful, but are not required, they should be marked as reference. Dimensions should be applied to features and arranged in such a way as to represent the function of the features. Additionally, dimensions should not be subject to more than one interpretation–they must be unambiguous. Descriptions of manufacturing methods should be avoided. The drawing should strictly limit itself to describing the geometry and not the method of manufacture. If certain sizes are required during manufacturing but are not required in the final geometry (perhaps due to shrinkage) they should be marked as non-mandatory. 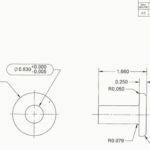 All dimensioning and tolerancing should be arranged for maximum readability and should be applied to visible lines in the drawing. When geometry is normally controlled by gage sizes or by code (e.g. stock materials), the dimension(s) shall be included with the gage or code number in parenthesis following or below the dimension. Dimensions and tolerances are valid at 20 degrees C and 101.3 kPa (standard conditions) unless stated otherwise. Dimensions and tolerances only apply at the level of the drawing where they are specified. It is not mandatory that they apply at other drawing levels, unless the specifications are repated on the higher level drawings. The basic rules tell us how to apply GD&T to a drawing.